EL PASO — After more than six months of serving as a symbol of President Donald Trump’s hardline immigration policies, the detention center for young migrants at Tornillo is on the brink of closing for good. The facility near El Paso opened in June to house mainly unaccompanied minors who crossed the border without parents or guardians. 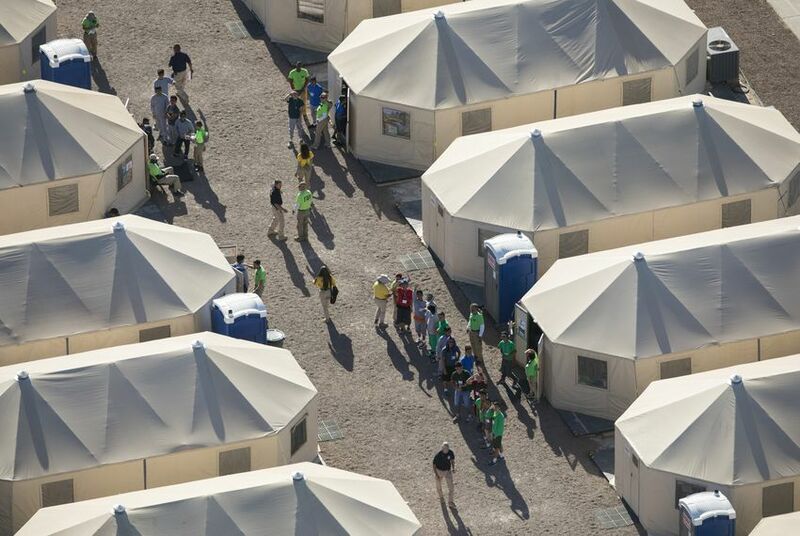 Critics decried the facility as a “tent city” after it was hastily erected, and its construction led to several protests organized by elected officials. At one time it held more than 2,500 undocumented minor immigrants who crossed the border seeking asylum. On Tuesday, HHS said the population at the facility was down to about 850 children and its goal was to “to close Tornillo as quickly but as safely as possible – for both the [immigrants] and all the personnel who have worked faithfully for months providing excellent care for these vulnerable children” Weber said. The closure was first reported by VICE news, which also reported that as recently as last week, the facility still held 1,500 unaccompanied minors. The outlet also published photographs of the facility's tents being dismantled. News of the facility's potential shuttering comes after the contract between HHS and Texas-based BCFS Health and Human Services to operate the center was extended several times since last summer. In June, BCFS officials said they were hopeful that the Tornillo facility would only be needed for a few weeks, but the federal agency extended the contract after the number of migrant children crossing the border remained steady or increased during the last half of 2018. On Tuesday, a BCFS official said the company's goal was in line with HHS's timeline and the company hoped to have the facility empty by the middle of the month and completely closed by Jan. 31. Weber said in his emailed statement that circumstances beyond HHS's control could determine whether the migrants still at Tornillo are able to be united with sponsors already living in the United States. "There are all sorts of factors that come into play that impact our ability to transfer or release [unaccompanied minors] to suitable sponsors … ranging from cancelled airplane flights because of weather (happens all the time) to scheduling a home visit when needed," he said.